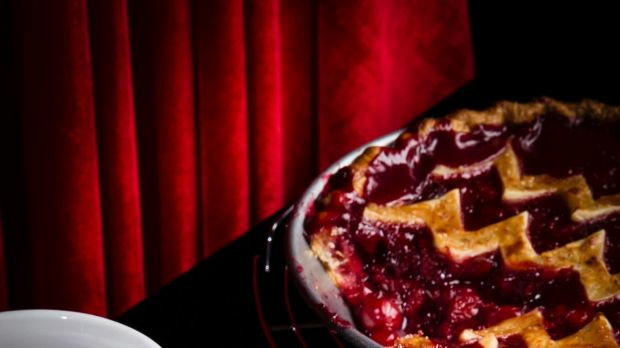 Finding an authentic recipe for Twin Peaks cherry pie is about as easy as figuring out who killed Laura Palmer. They serve a version at Twede's Cafe, the restaurant about 30 miles east of Seattle that played a backdrop as the Double R Diner in David Lynch's quirky 1990s television series. Visitors still come from around the world to linger over slices of the bracingly sweet, viscous red double-crust pie and cups of the "damn fine" coffee at the U-shaped counter. A short drive away, there is another pie, heavily seasoned with cinnamon, at the Salish Lodge & Spa overlooking Snoqualmie Falls, the waterfall in the series' opening credits. 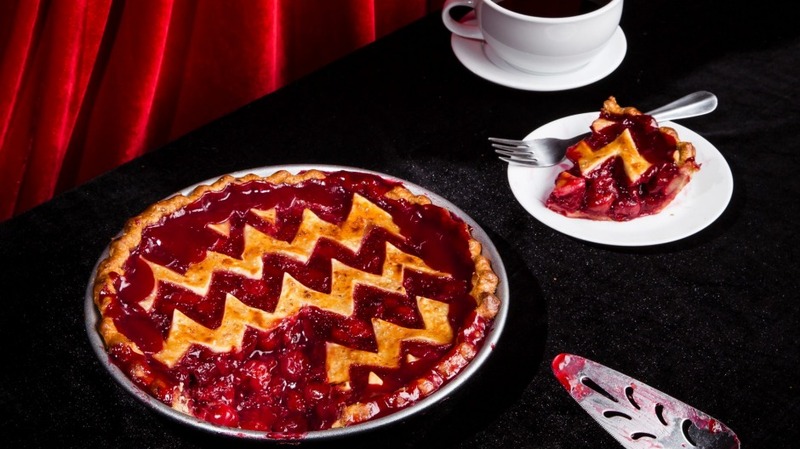 Twin Peaks, which returns on Sunday after a 26-year hiatus, fetishised pie (as well as doughnuts and that coffee, "black as midnight on a moonless night") to such an extent that almost any real-life slice is bound to fall short. Lynch has not said whether the pie will be in the new show, but promotional billboards featuring cherry pie appeared around the country in March. Dale Cooper, the FBI special agent (played by Kyle MacLachlan) assigned to solve Palmer's murder, ate his first slice of Double R pie in the second episode and promptly ordered two more. That pie was the handiwork of Garnet Mae Cross, an employee at the Mar-T Cafe, now Twede's. When Cross died in 2002, her obituary noted the connection to the show's cherry pie and the tourist clamour that sometimes required her to "bake 50 pies a day." After those early episodes, when production of the series moved to the San Fernando Valley in Southern California, the pies became more generic. Jeff Moore, the prop master for the show's second season, chose standard sweet-cherry bakery pies, latticed and double-crusted, and always had both on set. "There was a reason why the pie worked, and there was a reason doughnuts worked," he said. "Those two things represented Twin Peaks, the normal American town." As for the original recipe, the owner of the Mar-T, Pat Cokewell, would not reveal it, though she said the pies used sweet cherries flavoured with almond and a crust made with vegetable shortening. "Ours was very good," she said. "I can just say that." Cokewell sold the restaurant in 1997 to Kyle Twede, who chose not to use the Mar-T recipe. Twede tested recipes on customers, he said, before settling on the current incarnation, which uses canned sweet-cherry filling and a secret-recipe crust made on site. 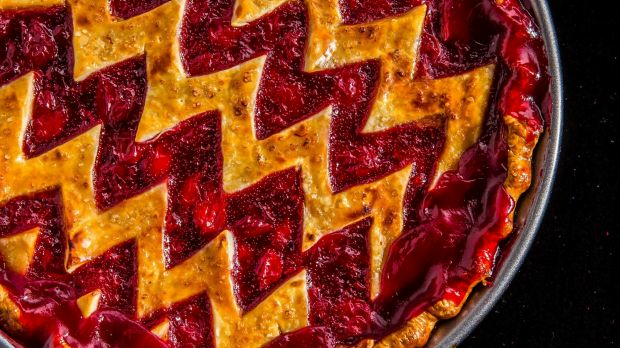 The following recipe is the composite sketch of a divinely good cherry pie. 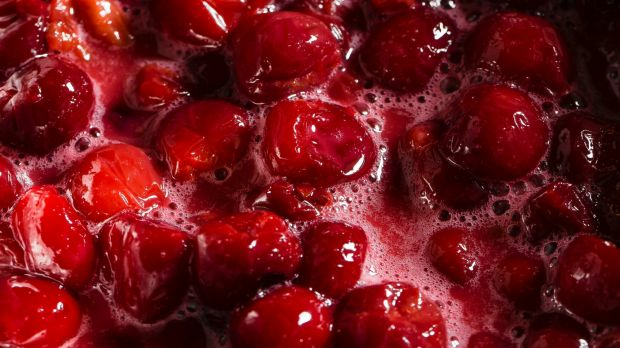 It calls for milk curdled by vinegar for the mock buttermilk crust, but takes liberties with the cherry filling, packing as many sour cherries as possible into a deep-dish pie and amplifying the fruit flavour with a generous splash of cherry liqueur. It is cherry pie in HD. 1. In a liquid measuring cup, stir together the milk and vinegar. 2. In a large mixing bowl, toss the flour, sugar and salt with a fork to combine. 3. Using a pastry cutter, cut in the butter cubes until the butter is the size of small peas, add to mixing bowl. Using a fork or large spoon, slowly add the liquid in four or five additions, stopping after every pour to combine, until the dough just sticks together. Knead lightly in the bowl until it forms a taut ball. 4. Separate dough into two equal-size disks and cover tightly with plastic wrap. Refrigerate for at least an hour. 1. Mix the cherries, sugar, corn flour and salt in a medium-size saucepan and cook over medium heat until cherries thaw (if frozen) and the corn flour and sugar dissolve. Reduce heat to medium-low, stirring occasionally to keep cherries from burning, and cook until the mixture thickens slightly. (Total cooking time should be about 20 minutes). 2. Add liqueur, stir and remove from heat. Let cool to room temperature. 1. Heat oven to 220C. On a lightly floured work surface, roll out 1 disk of dough into a threemillimetre thick circle about 38 centimetres inches in diameter. Transfer to a 22 centimetre deep-dish pie plate and chill in refrigerator as you work on the top crust. 2. Working quickly, roll out a second disk into a three-millimetre thick rectangle about 38 centimetres inches long and 30 centimetres wide. Cut into six strips about five centimetres wide. Remove pie plate from refrigerator and fill with cherry filling. Weave lattice strips over the top. Seal, trim and crimp the edges. Or cut dough into five zigzag strips and lay on top of pie filling, trimming excess. 3. In a small bowl, whisk the egg and milk to make an egg wash. Brush the crust with it, and sprinkle with raw sugar. 4. Place on a baking tray and bake pie for 20 minutes, rotating once halfway through. Lower heat to 180 degrees and bake another 30 to 40 minutes, until the crust is golden brown and the filling is thick and glossy. Juice may bubble onto baking tray. Remove pie to wire rack to cool before serving. The pie can be stored in the refrigerator for up to five days.